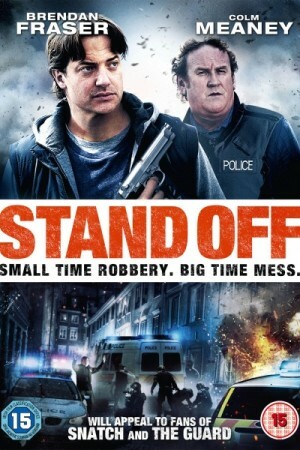 Also known as ‘Whole Lotta Sole’, Stand Off is an original comedy drama co-written and directed by double Academy-Award nominee, Belfast born Terry George. The film is set in modern-day Belfast about a hapless crook who manages to get in way over his head when he attempts to rob a fish-market owned by the local crime boss. Hoping to pay back some of the gambling debt he owes to local mobster Mad Dog Flynn (David O’Hara), Jim (Martin McCann) robs the local fishmongers, only to discover that it’s actually a front for the mobster’s business. Now on the run and pursued by police detective Weller (Colm Meaney), Jim is cornered in an antique shop where he takes hostage a collection of colourful characters, including American Joe Maguire (Brendan Fraser), the owner who may be his illegitimate father, and his girlfriend Sophie (Yaya DaCosta). Caught between the mobster’s gang and the police, the unfortunate young Jim must find a way out of this tricky situation with help from his hostages.